The University of Arizona has a large and beneficial impact on this thriving, sunny city. Tucson, Arizona (population 542,000, elevation 2,375 ft.) has been one of the fastest growing communities in the country for a long time, and with good reason. It is warm in winter, blessed with sunshine almost 300 days per year, has beautiful surroundings, and has ample land for development. At 233 performing arts dates per year, it also has one of the nation’s highest numbers of arts performances. It retains a distinctive relaxed, western flavor (Tombstone is nearby), and it celebrates outdoor life due to its climate and location. The downtown has many areas and is undergoing careful redevelopment. 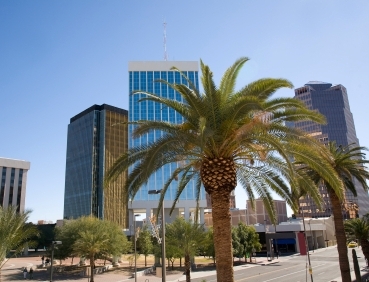 In addition to the rich presence of The University of Arizona, recognized as a Public Ivy, Tucson's many festivals, parades, processions, fairs, and rodeos assure there is never an absence of activity, or a dull moment, in this bustling city. The housing choices for retirees are among the most varied and economical of any place in the U.S. There are over 25 adult retirement communities with more built every year (see Active Adult Communities link at top right). Mobile home parks are plentiful and offer a low cost housing alternative. There are many condos and private homes in neighborhoods that are perfect for retirees. According to the National Association of Realtors, the median selling price of a home in Tucson was $233,800 during the third quarter of 2018, up from $210,000 a year earlier. Saguaro National Park, A city that caters to retirees, Arizona-Sonora Desert Museum (Arizona's 2nd most popular tourist attraction, Grand Canyon being #1), More than 25 adult retirement communities, University of Arizona, Gateway to the mountains and Mexico, Tucson gets high marks for environmental sustainability, Bicycle friendly, Award-winning Public bus system, and is above average in walkability when compared to other communities. Traffic can become intense, the summer heat is oppressive, dry heat is better than humid, but when anyplace gets over 100, it's hot! Tucson is located in the Sonoran desert in southern Arizona, 60 miles north of Mexico and 120 miles from Phoenix. It 's on the Santa Cruz River, which is a dry river bed for most of the year. Tucson is surrounded by 5 minor mountain ranges and the Coronado National Forest is northeast. Most of the year is dry, with the rains mostly coming in summer. Average July high is 101, January low is 42. There are many festivals throughout the year, such as the Rodeo Parade, Tucson Meet Yourself, Folk Festival, All Souls Procession, etc. The University of Arizona has an art and a photography museum. The Tucson Museum of Art concentrates on the arts of the Americas. The Arizona-Sonoran Museum is non-traditional and focuses on animals and plants of the desert. The Tucson Symphony Orchestra and Opera Company are important culturally, as is the Arizona Theatre Company. Crime in Tucson tends to be at least double the national average. Tucson International Airport Amtrak Sun Tran (award-winning public bus system), Old Pueblo Trolley, Biking – there are many trails and Tucson is bicycle-friendly, but there in NO integrated transportation system in and around the city. If you need to get somewhere you must have a vehicle or be prepared to pay a high price for a taxi service. Traffic has become a nightmare along with potholes. Tucson's walkability is about average compared with other cities.